The VPN Lab - VPN Guides - Kodi Guides - Does TunnelBear Work With Kodi? 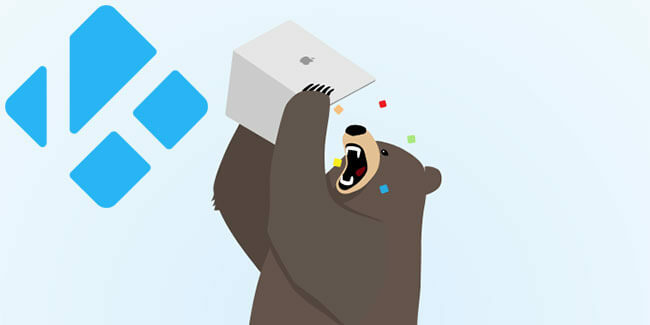 TunnelBear is a quirky Canadian VPN software primarily aimed at beginners due to its minimalist design and simple user interface. If you are a tech-savvy user, it might not be the right choice for you unless you just want to stream your favorite digital content without too many technicalities and overly complicated setups. 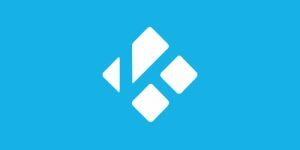 Kodi, on the other hand, is currently the most popular streaming software out there. Open-source and completely free, the app features a wide variety of available add-ons that have allowed for the creation of an unparalleled library of digital content. However, Kodi does come with certain security loopholes that can be exploited to obtain your data or monitor your online sessions. This is why using a VPN while you stream is definitely a good idea. Read on to see whether TunnelBear works with Kodi and learn more about the service along the way. Technically, you do not need a VPN to run Kodi, but if you want to access all of the available add-ons, including those that are geo-restricted in your part of the world, you will definitely need VPN protection of some sort. Additionally, a VPN will replace your real IP address with a virtual one, which will prevent your ISP and all other online entities from interfering with your connection and online traffic. TunnelBear indeed does work with Kodi and supports all popular platforms and devices, including Windows, Mac OS, Android, and iOS. It also provides dedicated browser extensions for Chrome and Opera. The official website also features instructions for using the software on Linux, but the company only offers limited support for the platform at the moment. TunnelBear is not compatible with Windows mobile devices, Kindle/eReader, gaming systems, and Apple/Android TV. It cannot be set up by manually configuring your router/modem. When Should I Use TunnelBear With Kodi? You should always use TunnelBear and Kodi together, but if VPNs put too much of a strain on your Internet connection, you should at least use it when streaming content through some of the riskier Kodi add-ons, including Hulu, IceFilms, BBC iPlayer, and those that source their content from torrent files notorious for recording and broadcasting the IP addresses of file-seeders. Apart from masking your real IP address and bypassing geo-restrictions, TunnelBear also encrypts your online traffic using the AES-256 cipher, SHA-256 authentication, and RSA-4096 key exchange. It covers various connection protocols, including OpenVPN. It also protects you against DNS leaks and comes with a killswitch that will disconnect you from the Internet if your VPN gets compromised. On the other hand, it is located in Canada, which is not an ideal location for a VPN provider security-wise.